Still stumped for a Father's Day gift? If your dad is anything like me, he's a big fan of the shows on HBO. I was down with Deadwood, rabid in Rome, wired into The Wire, totally enlisted for Band of Brothers and all in for Game of Thrones. So, of course I got hooked on True Detective from the first episode. It had all of the elements I love in a drama: a gruesome crime, a dark and spooky setting, crazy villains and great acting by the oil-an-water partnership of Matthew McConaughey and Woody Harrelson. And if you have waited until now to get something to give dad on June 15, your timing turns out to be pretty good. 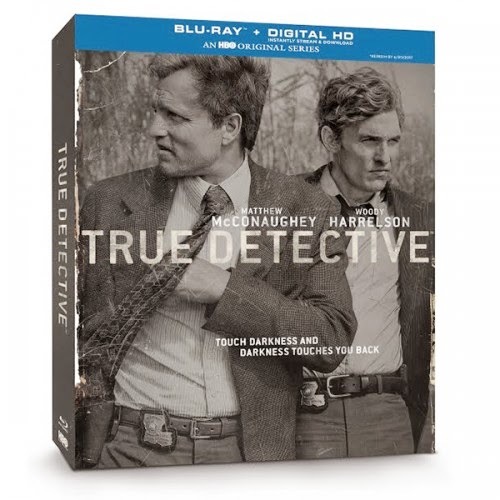 On Tuesday, the full season of True Detective goes on sale in a package that combines Blu-ray discs with a digital HD version that you can download or stream. The package also include behind-the-scenes documentaries, interviews with Executive Producer Nic Pizzolatto and Music Director T Bone Burnett plus deleted scenes and audio commentaries that explore some of the creepier elements of story. The best place to find the package is at Best Buy stores or at BestBuy.com where they have a full section devoted to HBO shows. Look for special prices until June 14.